Maxi the Taxi Dog is back in a whole new medium, he has gone digital. Learn and read our thoughts about the new Maxi the Taxi Dog reading app. Did you know that experts say that social-emotional development is the key to success in school and in life? After teaching in a public school for 10 years I couldn’t agree more. Learning how to interact with the world around you is a life skill that you will use throughout your life. Developing this is super important for a young child. As parents, there are several ways we can help. We can give our children experiences that allow them to interact with others. We can read books that allow our kids to talk about situations that might be difficult for them. We can give them different means to express themselves. There are many different ways that we can encourage kids to interact with the world. One of my kid’s favorite things to do is to use technology, so why not use technology to help encourage social-emotional development. 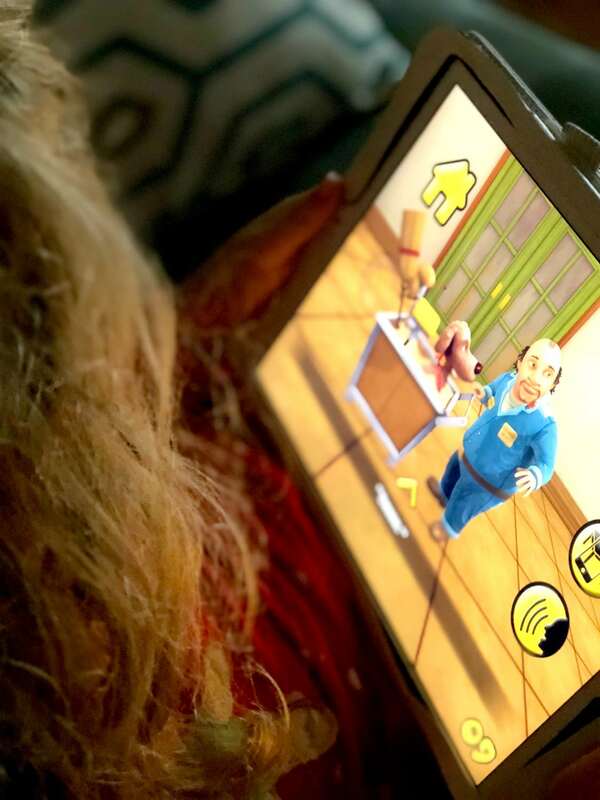 Playing Forward is a company that encourages kids to develop their imaginations by creating fun digital experiences such as apps for your digital devices. Their name comes from the fact that the company is “playing it forward” to give every child the very best shot at a happy childhood and a successful adulthood. 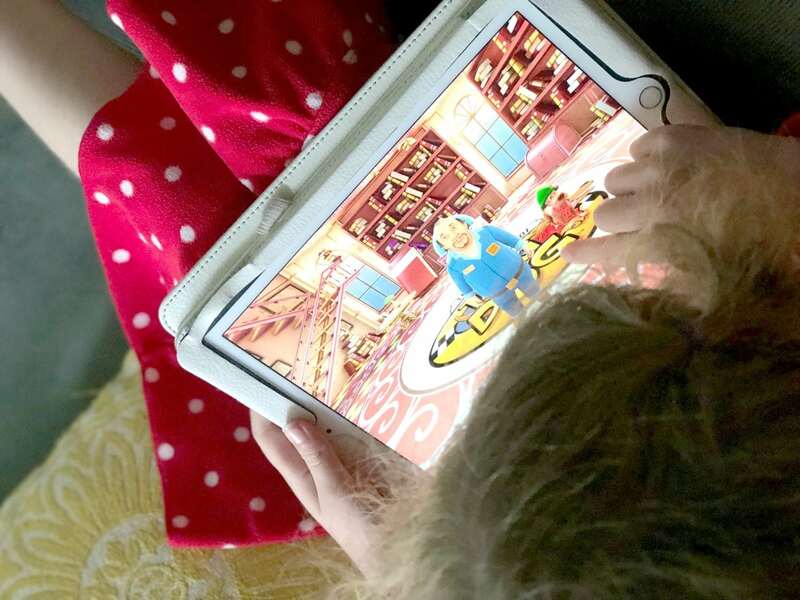 Each of the apps that Playing Forward creates are specifically designed to support kids’ social-emotional development through entertaining storytelling, movie-quality visual effects, and the use of Augmented Reality. The apps are designed by Academy Award-winning entertainment industry experts based off of extensive research. They tested their products with over 300 kids in 18 different classrooms in the US and Canada. They are testing and trying out their products with the very best test-subjects, the kids that will actually be using their apps! 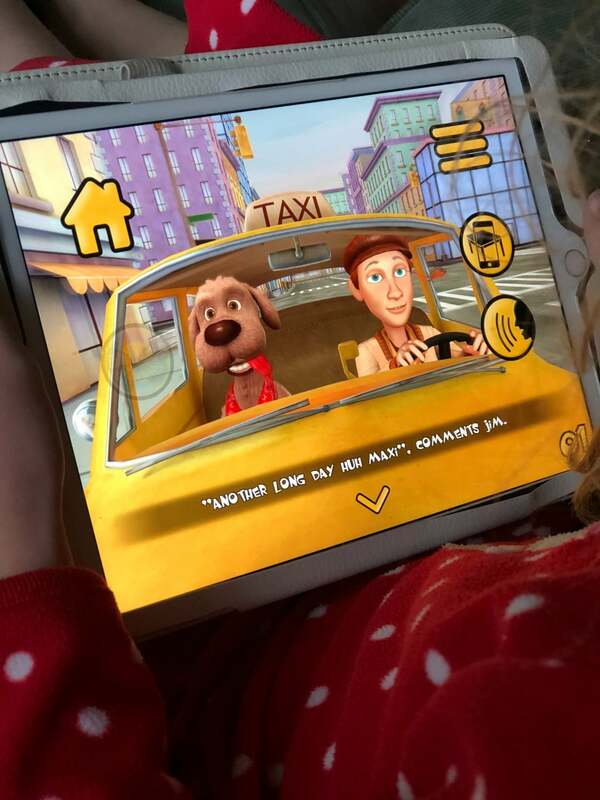 Playing Forward has created three character-driven apps for kids based on children’s books including a story from Stan Lee’s Kids Universe series (“DEX T-REX”), a new book series “It’s Just So…”, and the Penguin Publishing classic, “Maxi the Taxi Dog”. Kids explore these books through the eyes of a character in the story making them feel like they are along for the ride. Each story can be experienced in two different ways: as a “bedtime story” that can be read or listened to in 3D, and secondly as a more active ”exploration” in augmented reality. The active exploration encourages kids to experience to story from multiple characters and viewpoints by moving the device around. 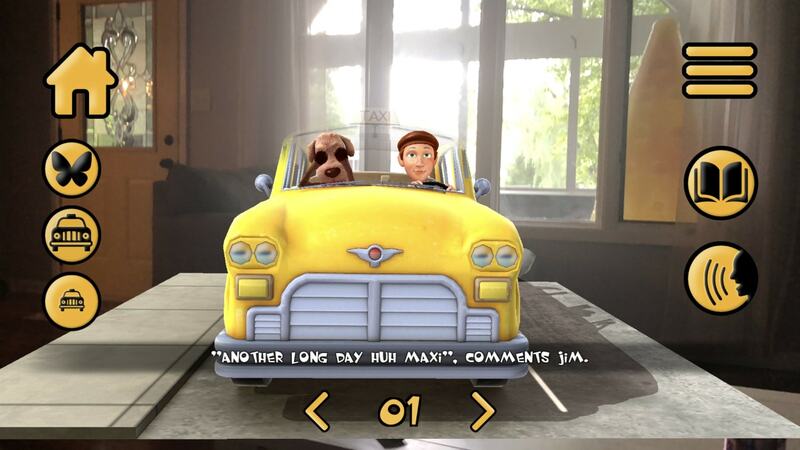 Maxi the Taxi Dog, is based on the children’s classic first published by Penguin over 25 years ago. The story has been digitalized and brought back for an entirely new generation. The characters and story are all the same, but this new medium gives the reader an entirely new perspective and allows them to interact with the characters. The app features Maxi, Jim and their new friend Tupa going to the Cooper Hewitt Museum in order to help Tupa overcome his fear of the dark. My kiddos are also afraid of the dark so the storyline was great to help them overcome their fears. 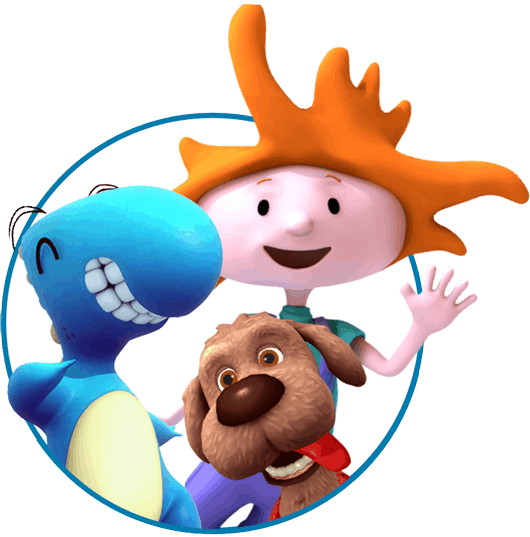 Throughout the story, we are with Maxi as he meets new friends and has a grand adventure. I love the Maxi the Taxi Dog story! As I mentioned before, my kids are afraid of the dark so seeing Maxi help Tupa overcome his fear is encouraging for my kids. My daughter hates to be alone in a room so I think that she was naturally engaged with the story itself. I love that kids have the choice to read the story or to listen to the story. There are sometimes when the kids want to listen to a story but I or my husband isn’t available. This is a great option for them. I love that the words are written on the bottom of the screen so they can read right along with the narrator when the story is being told. This helps my young daughter learn the words. Caroline loved to explore in each of the story sequences. This gives a whole new experience to the story that kids enjoy. She moved the camera angles around so that it felt like she was driving the taxi herself. She liked it when she swiped to the left to “turn the page” and Maxi jumped out of the taxi. The app also has a feature where you can turn on the camera and see Maxi and Jim in your own room! We did this as we were exploring the app in our living room. They popped right up and Caroline thought it was hilarious! I love that the app encourages kids to feel confident and to conquer their fears. I do wish that there were clearer instructions on the home page of the app to tell the user how to use it. We figured out how to swipe to get the story to advance, but it honestly took us a little bit to do so. Overall we were very happy with the story and read through it a few times. It was nice for Caroline to engage with the story and to feel like she was apart of it. Win a Weekend Exploration in Manhattan! To celebrate the launch of these apps, Playing Forward is running an amazing contest! The Grand Prize winner will win a whirlwind STEAM-powered weekend of play and exploration in Manhattan! This amazing trip will include personalized experiences at two of Manhattan’s most unique museums – the Natural History Museum & the Children’s Museum of the Arts. The prize package includes air transportation, a two-night hotel stay, a Visa gift card to cover meals, and various museum tickets for up to four family members. There is also a runner-up prize that you are going to love! The contest’s runner-up will win an iPad so that you can enjoy all the fun Playing Forward apps!